Adding the widget is very simple and am going to show these steps. 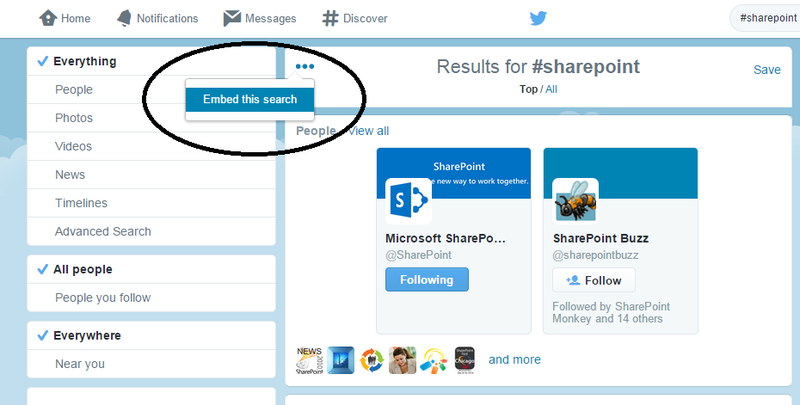 In this example, I want to display the Twitter feed on tag "SharePoint". 2. Search for a tag. Here I searched for SharePoint. In the search result, click on ellipses and select "Embed this search"
That's it! 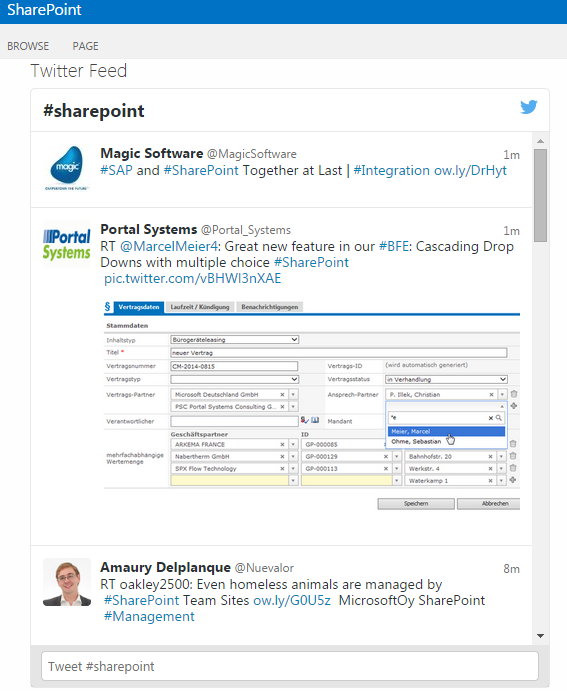 Now your SharePoint site users can see the latest feed for "SharePoint" as well as they can tweet their posts! Happy Tweeting!